We’ve recently been looking into the data analysis tool Alteryx to see if and how we can use the tool to help our customer’s find new ways to work with their data and if it is a tool we would try and implement on projects as well. Alteryx already comes with a good reputation as a visual ‘data blending’ tool that is intuitive in design but our newest consultant Sam Kay has been testing it out and here are her initial thoughts. DataConsulting recently obtained an Alteryx Designer license to further expand the repertoire of software used for working with clients, after recently seeing the platform rise in popularity as a business intelligence software. 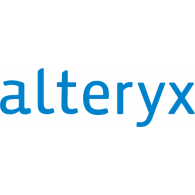 Founded in 2010 and based in California, Alteryx has been developed to be used for data blending and advanced data analytics. Its outlook is to allow non-specialists to perform data analysis by removing the need for scripting, although it does still offer functions within it that allows you to script and edit ‘behind the scenes’ using R and other programming languages. This ability puts its user ability on a similar level to ACL, where scripting is also optional and basic data analysis can be performed using just its main interface. Nevertheless, the way in which Alteryx and ACL let the user analyse without scripting is where they differ. Where ACL makes use of a recognisable menu system with dropdown menus and button-click functions, Alteryx has reinvented its interface into a quirky drag-and-drop system to create a visually effective workflow. After taking time to learn about Alteryx myself I soon became aware of how much is out there to in terms of what you can do and the help you can openly get from it. Firstly, its online community is expansive. Completely free to sign up to it includes future events, blogs, a discussions forum, an academy of interactive lessons, live training, weekly challenges and certifications. It has a team of experts constantly updating the site and keeping on top of forum topics to assist with problems and questions in any way they can. 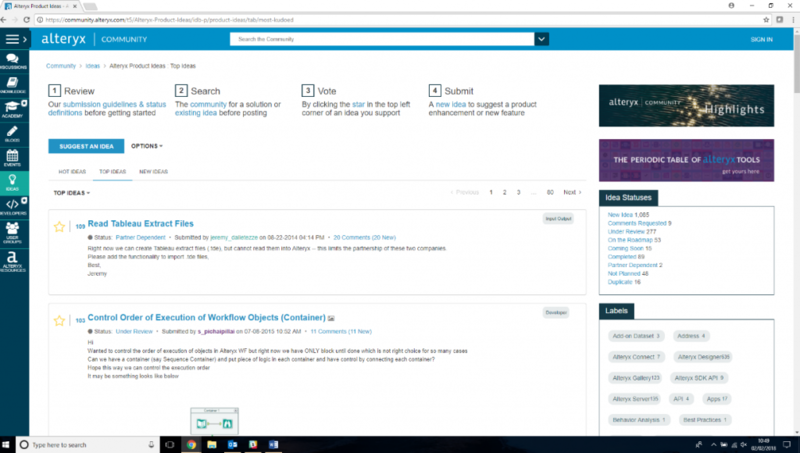 An other key feature to this community is the Ideas page where anyone can propose new features to be developed and included in the next Alteryx software update. The order in which these ideas are developed is through a voting system, so users of the community can vote for what they deem the most important and Alteryx takes on board the top ideas for review. Within Alteryx an array of functions are categorised into menus such as Input, Preparation and Transform etc. These functions are colour and shape coordinated by these categories to enhance the visual effect of workflows, providing an eye-catching overview of what a workflow is doing. After drag-and-dropping your desired tools into your window, they are effortlessly organised into a workflow by joining them together with arrowed lines. Once you have run your workflow it’s also possible to view table results from any point along analysis by clicking the arrows into or out of the tools to see the affect a tool had on the table, for example before and after a filter has been performed. Finally, an additional key feature of Alteryx is the use of macros. These are workflows or groups of tools that are built into a single tool and can then be used in another workflow. This proves useful when a pre-existing tool doesn’t exist for the task a user is attempting to perform, for example filtering out dates that are on a weekend or bank holiday would require several different tools to perform the test. An online database exists akin to the ACL Inspirations and ScriptHub page where it’s possible to download macros made by other users and experts, and even share your own macros. So that’s our initial run down of our first experiences of Alteryx, it’s most definitely a powerful choose and the design led interface lends itself to those who might not have an analytics or even coding background. We will continue to use the tool and update further as we find new and innovative ways to make use of it.